Data or files on the LG smart phones need to be sorted out from time to time because disordered or overmuch data can slow running speeds, crash systems and do other harm to your mobile phone. And we know that a free LG managing software - LG PC Suite has been released by LG Mobile Corporation to help their users organize contacts, create backups, and manage files easily from the comforts of your PC. However, it is a great pity to find that this kinds of managing program have no ability to modify or control the text messages on your LG phone, and it always runs slowly or go crash on the desktop computer according to the consumer's feedbacks on the Internet. What's more, LG PC Suite can only be used in the system of Windows XP(32bits), Windows Vista, Windows 7 or Windows 8. That means if you wish to manage your LG contacts, messages, apps or other files on Mac computer, you need to find another way to reach the goal. 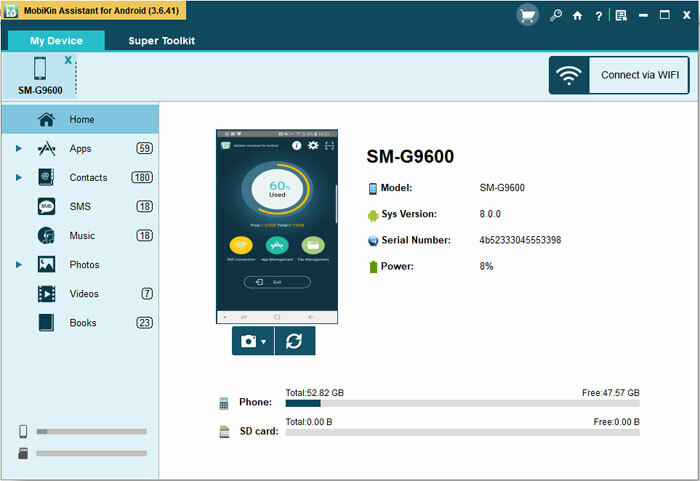 Thus, more and more users wish to find an all-in-one Desktop Manager software for LG mobile phones to manage or edit LG files on Windows or Mac computer without limitation. That is why MobiKin LG Desktop Manager & MobiKin LG Desktop Manager for Mac is strongly recommended here. - Fully compatible with all models of LG devices, such as LG G2, LG Optimus, LG Env3, LG Octane, LG Cosmos, LG Dare, LG Rumor and so on. Actually, in addition to the features that we listed above, this program has lots of other attractive functions. You can click the below icon to get the power program on your Windows or Mac computer, and then follow the below steps to manage LG data freely. 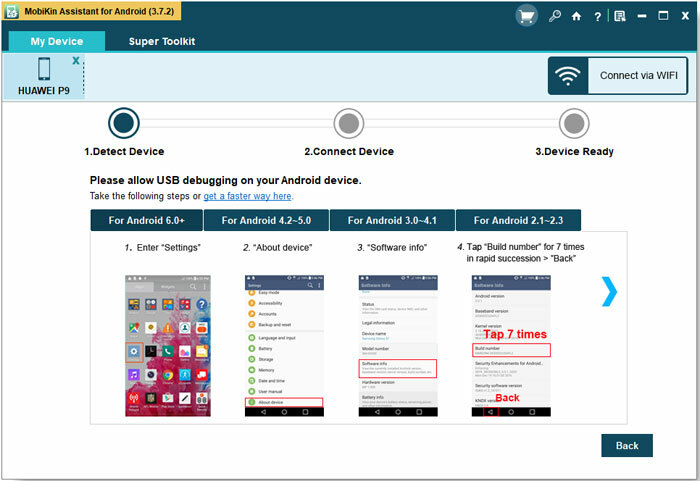 After that, you can check the basic information about your device in the program clearly. And files on the device are also displayed in different folders like Apps, Photo, Video, Music, Contacts, etc. in the top menu. Obviously, manage or edit different files on your LG phone in the program, you should to choose different options in the top of the panel. And then you can control or modify data by clicking buttons like Delete, Import, Export, New, etc.. For example, if you're going to edit contacts info in the program, you only need to choose "Contacts" first, and then you can preview the whole list in the program. And you can add, delete or modify the contacts info by hitting the function buttons easily. Or you can hit "Backup Contacts" to export and save the contacts list from LG to computer at ease.